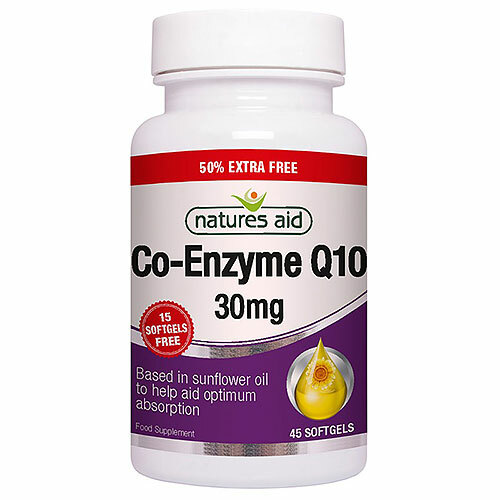 Natures Aid Co-Q-10 plays a role in the conversion of the body`s reserves into energy. It has antioxidant properties and contributes to maintaining healthy cardiovascular and neurological systems. Take 1-3 softgels per day with food. 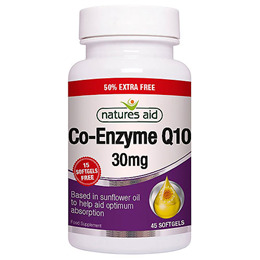 Below are reviews of Natures Aid Co-Q-10 - 50% Extra FREE - 30+15 Capsules by bodykind customers. If you have tried this product we'd love to hear what you think so please leave a review.